Urban agriculture is reshaping our cities, and urban farmers and gardeners are creating new opportunities for increasing the economic, social, and environmental effects of growing food in and around cities. There are many benefits to growing food in urban areas, and these benefits are being realized by communities, policy makers, and food-system entrepreneurs. As a result, access to land, capital, and markets is creating the necessary environment for farmers to manage a profitable urban farm. This section provides information and resources specific to urban agriculture. It includes information on community gardens, as well as information for helping urban farmers manage risks associated with farming urban soils. NOTE: Some of the following documents are available as Adobe Acrobat PDFs. Research, education, and publications to stimulate community and urban gardening for community development, social interaction, and food security in urban environments. Offers resources on urban agriculture, community gardening and sustainable agriculture from Canada's Office of Urban Agriculture. Community Crops has two initiatives: the Community Garden Network and the Urban Farmers Pilot Project. The Community Garden Network provides small garden plots in many different locations, as well as water, seeds and tools. The Urban Farmers Project (UFP) works with refugee and immigrant urban farmers who grow produce for market at the UFP farmsite. University of California Cooperative Extension guide intended to help neighborhood groups and organizations along the path to starting and sustaining a community garden. Comprehensive study of the economic viability of entrepreneurial urban agriculture within urban cities. Information and technical guidance to interested institutions with a view to protecting and promoting the food security of urban populations. Providing hands-on training, on-the-ground demonstration, outreach, and technical assistance through the development of Community Food Systems that help people grow, process, market, and distribute food in a sustainable manner. Fostering new marketing and food-growing opportunities that address the needs of regional, rural family farms, NYC community gardeners, and NYC communities. The Center develops training and research programs for new and experienced farmers and for city planners and community members interested in city farming. Additionally, the Center operates the Kansas City Community Farm (KCCF), a working, certified organic vegetable farm where we develop and demonstrate production practices suitable for Midwestern urban agriculture. Provides information and other services on local and community gardening. The aim of this initiative is to form an alliance encompassing a wide and culturally diverse range of actors and stakeholders involved in urban and peri-urban agriculture in North America, to share knowledge and best practices amongst them and to foster linkages externally, so as to give voice to its advocates and recognition and legitimacy to its activities. Grass-roots organization that promotes economic, human, and community development in Holyoke, Massachusetts through projects relating to food, agriculture, and the environment. Urban agriculture has proven to be an effective way to promote community development because it is a way for the residents of downtown Holyoke to maintain a connection to their culture while putting down roots in their new home. Sponsors programs that contribute to Seattle's vital urban agriculture with CSAs, youth projects, and more than 60 community gardens. Comprehensive resources on urban agriculture and food security including publications, case studies, events, and three distance learning courses in urban agriculture. RUAF publishes the international Urban Agriculture Magazine. Very extensive resource list on urban agriculture, gardening, nutrition, and community development by Keith Addison and Midori Hiraga, who together founded Handmade Projects NGO in Hong Kong in 1998 in order to organize the Journey to Forever project. Rural Roots is a regional, 501(c)3 nonprofit food and farming organization dedicated to creating connections between sustainable producers, consumers, and other regional food and agricultural organizations. SPIN-Farming is S-mall P-lot IN-tensive farming that utilizes methods for the commercial production of vegetable on sub-acreage land bases. Based on one of the oldest organic farms in California, the Center for Urban Agriculture at Fairview Gardens is an internationally respected model for small-scale urban food production, agricultural preservation, and farm-based education. Fosters CSA's and farmer's markets to engage youth in personal and social change. Compilation of case studies, approaches, processes, methods and "best practices" which operationalize the goals of the Urban Harvest initiative, which to contribute to the food security of poor urban families, and to increase the value of agricultural production in urban and peri-urban areas, whilst ensuring the sustainable management of the urban environment. Site provides resources related to urban agriculture. Information on urban agriculture for the production of food for personal consumption, education, donation, or sale and includes associated physical and organizational infrastructure, policies, and programs within urban and suburban environments. This site offers resources identified as most useful for urban farmers and local decision makers and stakeholders. This Guide is meant to address the changing face of the agricultural industry, and to support farmers producing food in urban centers and on the urban fringe. It is a collection of topical factsheets including resources and information to answer the common questions of urban farmers. Cost-benefit analysis (CBA) can provide a powerful tool for communicating the economic value of urban agriculture to policymakers, funders, and other decision makers. This guide introduces the basics of cost-benefit analysis and prepares urban agriculture practitioners to conduct a preliminary-level CBA. This report summarizes the results of an online survey, conducted during February and March 2013, of 251 groups involved with urban agriculture (UA) projects in approximately 84 cities in the United States and Canada. This report provides an overview of urban agriculture and local food system resources and practices across the United States and parts of Canada, with a primary emphasis on providing resources that can encourage and support urban agriculture in metropolitan areas. The Urban Farming Toolkit is a digital, visual guide to starting a garden, designed to provide instructions on gardening at any scale for people at all experience levels. The guide takes the reader through the background of urban gardening, how to plan and build a garden, gardening maintenance, and the financial and legal issues relevant to growing an urban garden. The Robyn Van En Center provides outreach and works to gain publicity about CSA farms in order to benefit community farmers and communities everywhere. The Alternative Farming Systems Information Center (AFSIC) specializes in identifying resources about sustainable food systems and practices in support of USDA’s effort to ensure a sustainable future for agriculture and farmers worldwide. This book offers straightforward guidance on cooperative marketing, an innovative practice that is helping CSAs stay strong and viable over the long term. This 130-page book details how farmers in CSA cooperatives can best work together to market their produce, including advice on staffing, volunteer boards, distribution, legal topics and other practical information. Publication provides information that may be helpful to farmers considering the development of a CSA. The 62-page guide addresses legal, accounting, environmental, and social considerations relevant to pursuing customized financial agreements, and contains examples of farms who have used alternative financing. Online toolkit covering information on CSAs including tips on sizing shares and setting prices. Urban Land Institute article on farm-centered developments. Agrihoods are housing developments centered around a farm. This article provides information on 12 agrihoods that are either established or planned communities. The Mission of the American Community Gardening Association is to build community by increasing and enhancing community gardening and greening across the United States and Canada. Community Crops is a non-profit organization that empowers people to grow food through education, experiences and resources. This “Community Garden Start-Up Guide” is intended to help neighborhood groups and organizations along the path to starting and sustaining a community garden. A provider of grants and free materials for educators and families so that they may use gardening as a resource for learning. This guide is intended to be resource for gardeners, garden organizers, Extension staff and other agency professionals who want to start a new community garden, enhance an existing garden, or help community members start and manage their own community garden. This handbook provides guidance for developing a business plan for the startup and operation of an urban farm. It focuses on food and non-food related cultivated agriculture. The information provided is applicable regardless of whether the farm is to be operated as a non-profit or for-profit business. The Toolkit helps you track your output to showcase the benefits of your farm or garden, to improve and share your practice, and to raise awareness of your impact to funders and policymakers. Excel Spreadsheet for estimating the costs for starting and operating an urban farm in the first year. Expenses are based on costs experienced in Indianapolis, Indiana. Developed by Purdue Extension – Marion County, South Circle Farm, and Big City Farms. INUAg.org is an up-to-date, organized and searchable, resource for individuals, communities and organizations interested in urban agriculture. This report surveys the zoning ordinances of 16 cities and explores how these cities have incorporated urban agriculture into their land use plans. Toolkit intended to serve as a reference for food policy councils, food advocates, local policymakers, and non-profit entities. Developed by Michigan State University Extension, this publication presents a starting point for what aspects of agriculture can be regulated by local government. This is intended for use by local planning and zoning officials and others interested in local government accommodating various local food systems. This toolkit provides a framework and model language for land use policies that local policymakers can tailor to promote and sustain urban agriculture in their communities. A Sustainable Economies Law Center (SELC) website that offers a collection of resources on laws and regulations that regulate who, how, and where urban agriculture can occur. 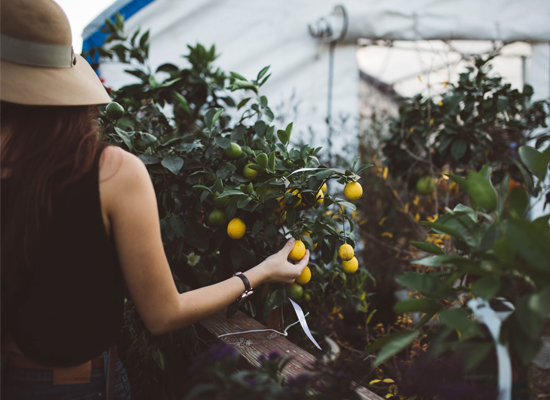 Article by the National League of Cities Sustainable Cities Institute that provides great details on the zoning and permitting aspects of urban agriculture and references many nonprofits, markets, farms, government initiatives, plans, and ordinances. List of ten cities leading the way with innovative urban agriculture ordinances that provide a blueprint for a new economic future grounded in sustainable food production in urban centers. Soils in Urban Agriculture: Testing, Remediation and Best Management Practices for California Community Gardens, School Gardens, and Urban Farms. This publication outlines strategies for urban soil contamination assessment, remediation, and municipal policy around safe soils for urban agriculture, and offers additional resources for further exploration. A fact sheet developed by the EPA to inform urban growers about common soil contaminants, how to reduce exposure to them, how to improve soil conditions, and grow plants safely. Publication by the Cornell Waste Management Institute with information on testing soils for contaminants. Soil testing methodology, test interpretation, and contaminate exposure limits are covered. This report provides a concise, practical, and scientifically based overview of the typical conditions of urban soils, and offers recommendations for how such soils can be rehabilitated or reconditioned to support green infrastructure or urban agriculture. This document is a condensation of a 2010 conference that outlines the range of issues which need to be addressed in order to safely grow food on former brownfield sites. USDA-NRCS document that focuses on strategies for preventing damage to soil quality and soil function by targeting critical points in the construction and development process. This webinar, broadcast October 25, 2012, focuses on tools and techniques for small-scale crop production. National Center for Appropriate Technology (NCAT) Agriculture Specialist Andy Pressman discusses the importance of investing in good quality and well-designed tools, their different purposes, and how to use them to properly plant and maintain crops. Organic farmer Saul Padilla explains his trick for constructing a small hoop house that is inexpensive and very strong. Virginia Cooperative Extension publication that offers techniques for increasing crop yields. A briefing from Rutgers New Jersey Agricultural Experiment Station on yield expectations for farms on the urban fringe. High tunnel data is also included. A University of Maryland Extension publication summarizing a SARE-funded study that looked at high tunnel profitability. The results show that high tunnels are especially profitable when located close to good markets, such as urban and peri-urban areas. A research report developed by New Mexico State University on designing and using small scale low pressure irrigation systems. Blog site capturing Permaculture design principles for urban areas. Brad Lancaster, dry lands water harvesting expert, speaks at the Tenth International Permaculture Conference (IPC10) about water harvesting need and potential. Provides links to urban livestock resources and city ordinances. Best management practices that greatly reduce or eliminate problems of odor and fly control, pesticide drift, contamination of surface and ground waters. These management practices allow for properly managed agricultural enterprises to continue operating in residential areas. A review of traditional technologies based on literature and field experience. Urban Chickens is dedicated to the practice of backyard chicken keeping in urban and suburban environments. Providing the right nutrition for your chickens means ensuring that what they eat supplies all of the essential amino acids, fatty acids, carbohydrates, vitamins, minerals, and water that they will need to produce the meat or eggs you hope to collect. Comprehensive information for urban chicken flocks, including articles, courses, videos, and publications on all aspects of small scale poultry raising. Resource for ideas on poultry manure use or disposal. Colorado State University Extension publication describing considerations on marketing and production for small scale sheep and goat production; suitable for urban or backyard animal rearing. An extensive list of resources on raising small ruminants from Susan Schoenian, Sheep & Goat Specialist for the University of Maryland Extension. Nutrition information and spreadsheet calculators for goat rations developed by Langston University. This publication brings together information on rabbit housing and includes the reasons why certain designs, materials, or methods are favored by rabbit raisers. Publications on rabbit production, a bibliography, and web resources. This manual includes information about major production hazards facing farmers, including: predators, diseases, parasites, organisms that have the potential to cause aquatic animal illness and human illness (e.g. toxic algae), biofouling, spread of invasive species, and other operational and environmental hazards. Fact sheets on species, recirculating systems, health, disease, nutrition, and water quality. The Urban Aquaculture Manual. Heifer Project International. Useful resource on recirculating systems with further resources. Urban Aquatic Production. RUAF Foundation. Discussion of urban aquaculture systems, benefits, constraints, and urban issues. Beekeeping Tips for Beginners. University of Missouri Extension. Publication covers location, equipment, plants, diseases and insects, and further resources for beginning beekeepers. Website created by John Caldeira, Dallas, Texas, with information on suburban beekeeping. HoneyLove is a Los Angeles based 501(c)3 non-profit conservation organization with a mission to protect the honeybees by educating our communities and inspiring new urban beekeepers. The mission of BYBA is to provide our membership with a forum for sharing knowledge and mutual interests in beekeeping, and to educate and promote the benefits of beekeeping to the public. BackYardHive is committed to information and hive technologies that encourage and enable backyard beekeepers to be successful. Information on bees, beekeeping, and bee products. Facebook page for beginning urban beekeepers. Website provides technical information, research, and resources on advanced and intensive forms of hydroponically-based agriculture. The Association for Vertical Farming is an internationally active nonprofit organization of individuals, companies, research institutions and universities focusing on advancing Vertical Farming technologies, designs, and businesses. Industry website providing current information on vertical farming and urban agriculture design, news, business, and jobs. The mission of the Aquaponics Association is to promote the benefits of aquaponics through education and outreach. The Aquaponics Association also provides micro grants to increase public awareness, understanding, and knowledge of aquaponics. A community and forum for aquaponic gardeners. Online forum, blog, information, research, and resources for aquaponics enthusiasts. Urban Ag News is an educator providing content through a variety of different media. Through its educational efforts, Urban Ag News seeks to provide its users with a basic understanding of the industry and to keep them informed of the latest technologies. Newbean Capital and Local Roots partnered to author this white paper. Sustainable Cities Collective webinar on urban agriculture, in particular indoor and vertical farming. Podcasts focusing on food production within the built environment, including vertical and container farming. The podcasts feature in-depth interviews with many of the world’s leading experts in urban agriculture. Proceedings from a 2012 workshop that captured the state of the art of vertical farming, defined a research agenda, and established a working group at the nexus of biology, engineering, economics, and architecture. Sponsored by Carnegie Mellon University’s Robotics Institute. Funding for this page was provided in part by the National Institute of Food and Agriculture, Award 2012-68006-30177, Agriculture and Food Research Initiative. Small and Medium Sized Farms Program. For information, contact Andy Pressman: andyp@ncat.org.